The E330 FOCUS AX Polyphase meter provides a cost-efficient alternative for light commercial metering applications that do not require the extensive functionality of the S4e meter. As an addition to the FOCUS family of meters, the AX Polyphase brings the same proven solid-state performance utilities have come to expect from commercial and industrial applications. A single circuit board design, mounted at the front of the meter allows room for modular AMI communications or a KYZ output board. 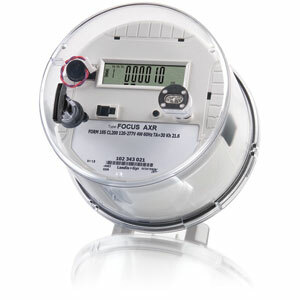 Highly accurate load performance and the use of field-proven Digital Multiplication Measurement Technique ensure reliability and dependability during the entire life of the meter. The FOCUS AX Polyphase meter is available for both self-contained and transformer-rated meter forms and includes the ASIC, non-volatile memory, selectable metrics, flexible display functionality, an optional KYZ output, configuration port, and a customer program option.